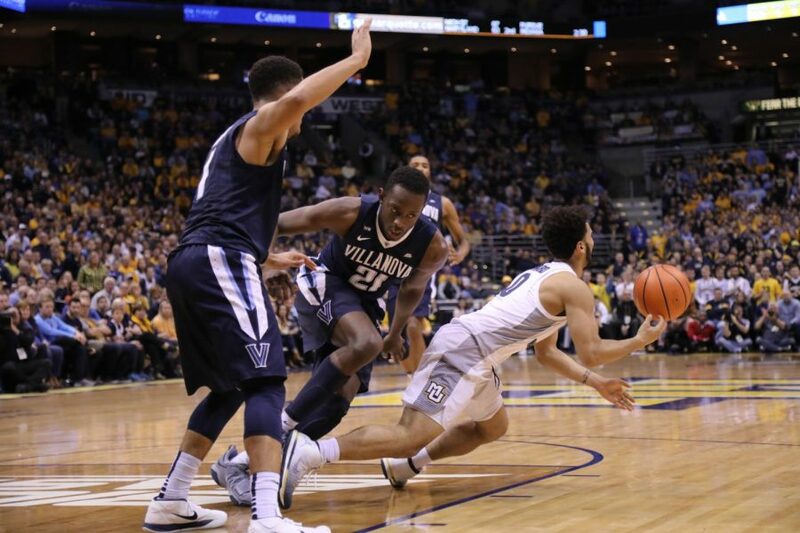 Villanova is one of three teams that swept Marquette this year. 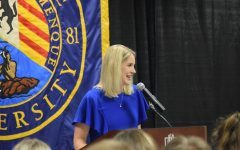 Boiling with frustration following a 77-75 loss to Providence Feb. 3, Marquette head coach Steve Wojciechowski sarcastically quipped about the team’s challenging schedule before bolting the press conference. 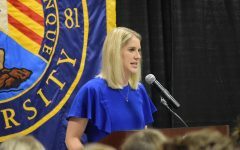 “Obviously, I’ve got to do a great job of coaching all this youth we have, because apparently I’m not, especially against the No. 10 schedule in the United States, the No. 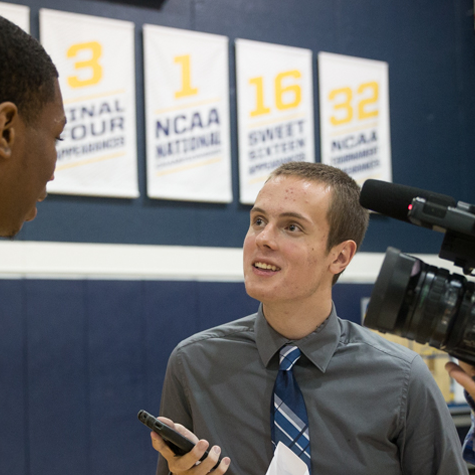 1 schedule in the BIG EAST where we’ve already played Xavier and Villanova twice,” Wojo said. 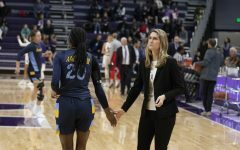 A week later, the strength of schedule that Wojo previously used to defend his team’s high number of losses could keep the Golden Eagles out of the NCAA Tournament. 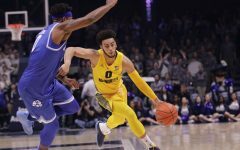 Since National Marquette Day, the team’s strength of schedule has become slightly easier but remains one of the most challenging in the country. Marquette has played the 18th-hardest schedule in the country and third hardest in the BIG EAST behind St. John’s and Xavier according to the strength of schedule metric used by the NCAA Tournament committee. 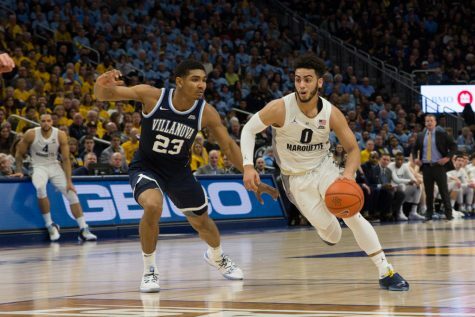 That schedule has resulted in eight BIG EAST losses with still another month of the season left, leaving Marquette with virtually no margin for error. 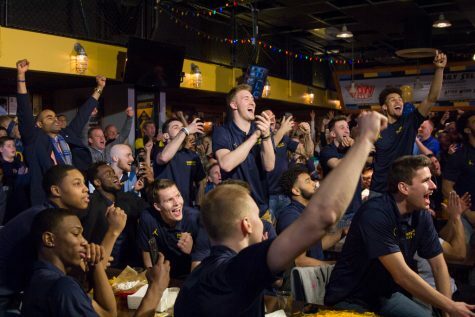 With each regular season loss, the odds of an NCAA Tournament bid dramatically diminish. 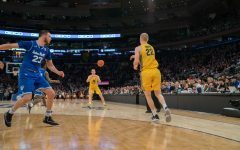 Since the BIG EAST’s realignment prior to the 2013-’14 season, 100 percent of teams with less than eight losses in conference play earned a March Madness bid and 90 percent of teams with exactly eight losses did the same. 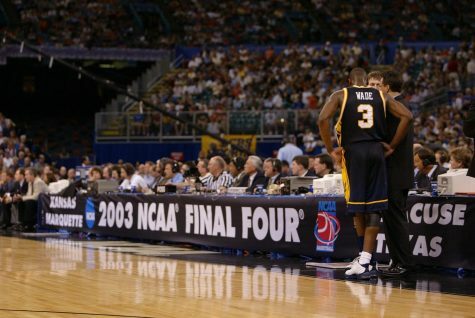 But only 50 percent of nine-loss teams made it to March Madness. 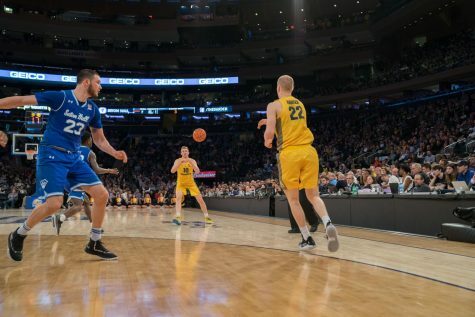 No team with 10 or more BIG EAST losses has ever earned an NCAA bid. 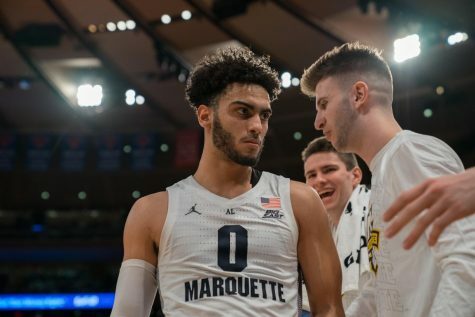 Marquette’s average of 1.2 years of experience per player is at least 0.1 years less than any other BIG EAST team, which has become evident as the schedule moves deeper into February. 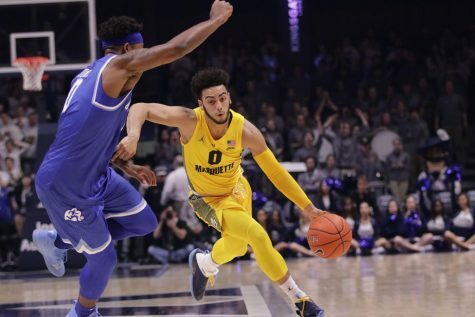 Seton Hall is the only team Marquette has swept while three teams — Butler, Villanova and Xavier — have swept Marquette. 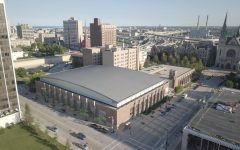 Things don’t get easier, either; the remaining slate includes two games against Creighton, a probable NCAA Tournament team, and a game against St. John’s, who is coming off three straight wins, including victories over No. 4 Duke and No. 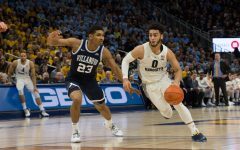 1 Villanova. 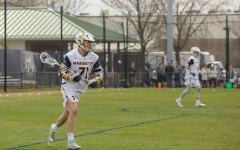 The strength of the remaining schedule also presents Marquette with the opportunity to grab two Quadrant One wins and one Quadrant Two win. Quadrant One games include home games against top 30 teams, neutral-site games against top 50 teams and road games against top 75 teams. Quadrant Two represents home games against opponents ranked 31-75th, neutral-site games against opponents ranked 51-100th and road games against opponents ranked 76-135th. This is part of the NCAA Tournament selection committee’s new way of categorizing games. 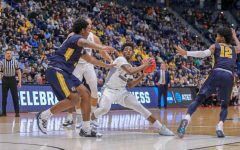 Road games are significantly elevated in the new system, which could play to Marquette’s advantage. Three of five remaining matchups are away games. 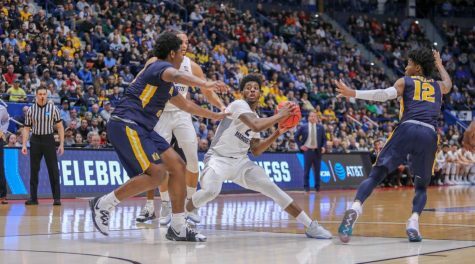 Providence is dealing with similar “bubble talk” too, especially after an 80-63 loss this weekend to DePaul, one of two BIG EAST members outside of the top 100 of RPI. 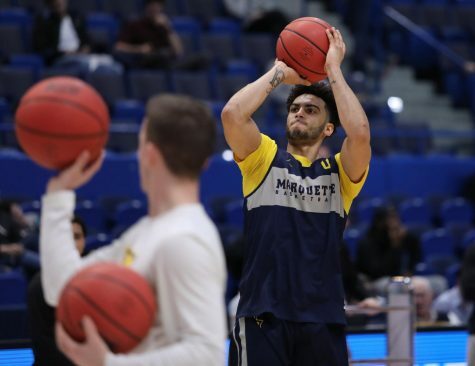 Everyone might be on the bubble in Cooley’s eyes, but Marquette could see its bubble burst without some of Wojo’s frustration translating into on-court results.